More than 200 volunteers, including the entire Ripon city council, turned out to assist the 430 runners who participated in Saturday's "Rina's Run" on the new all-weather track the previous seven "Rina's" helped to fund. It's named in honor of the late Rina Brocchini; the Brocchini Family Foundation has been a major supporter of the Ripon High Stadium Project since its inception. This year's race raised funds and awareness towards the need to replace the inaccessible bathrooms and unsafe bleachers. The Ripon High Stadium Project has gone to Washington DC three times with the San Joaquin Council of Governments as a regionally beneficial project and has continued to be a hub of grassroots community fundraising that has unified virtually every non-profit, including 900+ volunteers and donors from Ripon's community of 15,000. Vernon Transportation's Gregg Wilson sponsored a special $1,000 cash prize for the first runner to beat a time of 1:11 in the half marathon. WATCH: 'Breakfast on the Job' honors the Stockton Police Department May 15! University of the Pacific is expected to confer 2,029 degrees during four commencement ceremonies in three cities over the next six weeks, celebrating a graduating class that includes 198 new attorneys, 201 new pharmacists, some 455 liberal arts majors, and more than 232 new engineers and computer scientists. WATCH: 'Breakfast on the Job' Goes to Stockton this Friday! 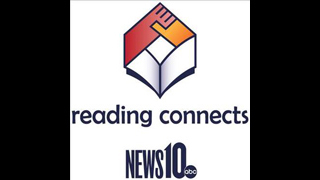 News10's popular morning segment 'Breakfast in My Neighborhood' has been focusing on job opportunities for the last few weeks. The segment is called 'Breakfast on the Job', and we bring breakfast to you on the job. It's our way of honoring those that serve our community, while letting our viewers learn about potential job opportunities. This coming Friday, May 15, News10 Anchor Keba Arnold and Reporter Tim Daly will be going to the Stockton Police Department and they won't be alone. North Border Taco food truck will be there, too, and will be serving up a delicious breakfast. News10 hosts 'Breakfast on the Job' at the Stockton Police Department next Friday! For the last few weeks News10's popular morning segment 'Breakfast in My Neighborhood' has been focusing on job opportunities. We're calling it -- 'Breakfast on the Job', and during this segment, we're bringing breakfast to you on the job. Today, with the help of Culinerdy Cruzer, we hosted breakfast at UC Davis Children's Hospital and had an opportunity to talk jobs with some hospital employees. Click HERE to see the great photos and interview videos of the event. WATCH: 'Breakfast on the Job' honors UC Davis Children's Hospital this Friday!